. 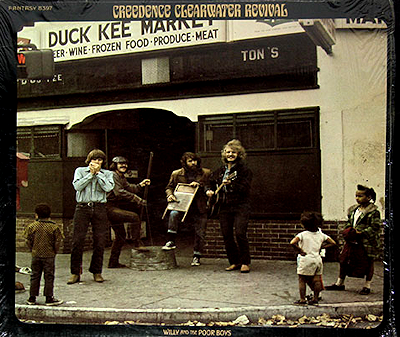 . . Back in 1969, CCR released their album "Willie and the Poor Boys" with much acclaim and success. One of the album's songs is relevant to the topic of UFOs. "It Came Out of the Sky" speaks of the hysteria of society and the reaction of government/media/religion as all attempt to capitalize on this collective hysteria. Fogerty penned a parody that humorously captured this theme. I loved it then and still love it now.